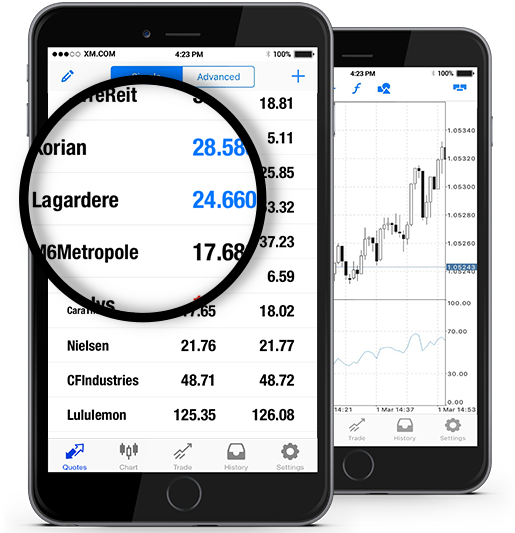 At XM we offer Lagardere SCA (LAGA.PA) stocks as cash CFDs. Our cash CFDs stocks are undated transactions that aim to replicate the cash price of the underlying stock, and so they are adjusted for any relevant corporate actions. Lagardère SCA is a Paris-headquartered multinational media conglomerate founded in 1992 and ranks among the largest media companies in the world. It operates its business in over 35 countries and in several business segments: book and e-publishing; store retail at airports and railway stations; newspaper, magazine and media publishing; advertising sales; as well as radio and TV broadcasting. The company stock LAGA.PA is traded on Euronext. *** Note that the maximum trading volume for Lagardere per client is 655 lots. This limit will be reviewed on a daily basis and updated according to the value of the instrument. How to Start Trading Lagardere SCA (LAGA.PA)? Double-click on Lagardere SCA (LAGA.PA) from the “Market Watch” to open an order for this instrument.